In this Week’s Edition of “Things No One Asked For,” Underworld is Getting a Reboot. According to The Hollywood Reporter, Lakeshore Entertainment has brought in Priest writer, Cory Goodman, to pen a script. The guy who wrote the script for an Underworld derivative film is writing the remake and the snake continues eating its own tail. Loony Tunes Reboot Forthcoming from X-Men Writers, Steve Carell attached. Looks like Warner Bros. has other plans, beyond just Superhero films. A new Loony Tunes film is in the works, known only as Acme. Fans of the cartoons will note the name stems from the fictional company within the Loony Tunes universe. Besides having Steve Carell attached, X-Men: First Class writers Ashley Miller and Zack Stentz are also penning the film. The Hollywood Reporter says the new film will not center around any familiar Looney Tunes characters and Variety described it as a spin-off. So, really, nobody knows what this is about. 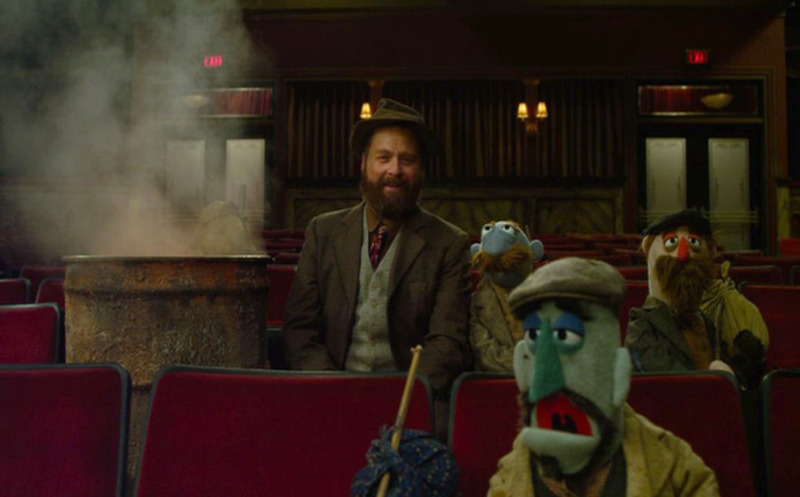 Maybe this will be like The Muppets where they introduce a new character as the main protagonist. New look at Eli Roth’s homage to Cannibal Holocaust. Written and directed by The Daily Show’s Jon Stewart, Rosewater is about a Journalist imprisoned during the 2009 elections in Iran for being “mistaken” for a spy. The new miracle cure! Be possessed and it’ll cure all your aliments! Antonio Banderas in a sci-fi film? Awesome. THAT DOLL IS SO CREEPY! WHY WOULD YOU BUY THAT? WHAT KIND OF PERSON WOULD BUY THAT? Donald Glover to Voice Miles Morales, The Ultimate Spider-Man, for Disney. Actor, comedian, and rapper Donald Glover be voicing Miles Morales in the upcoming season of Ultimate Spider-Man for Disney XD. The upcoming arc called “Spider-verse” sees Peter Parker’s Spider-Man teaming up with several different dimensional Spider-Men including Spider-Man Noir, Spider-Man 2099 and Peter Porker, The Spider-Ham. Miles Morales, The Ultimate Spider-Man in the comics, was created in 2011 after the death of that universe’s Peter Parker. Writer Brian Michael Bendis even said at the time that Glover was the inspiration for Morales. In 2010, Glover joked that he would love to play Spider-Man in The Amazing Spider-Man reboot. The joke led to an online campaign for him to get the role. As history shows, it went to Andrew Garfield. Even though he’s just voicing Morales, Glover still hopes to do more. FX Orders Zach Galifinakis and Louis CK Comedy About Clowns. FX has ordered 10 episodes of Baskets, a new series from Louis CK, Zach Galifinakis, and Tim And Eric Awesome Show, Great Job!’s Jonathan Krisel. Starring Galifinakis, the series is about Chip Baskets, a man who quits his boring office job for the hope of living out his dream of becoming a clown. Being terrible at it, he takes the only job he can get, and becomes a rodeo clown. Needless to say anything that Galiginakis AND Louis CK is apart off, I’ll check out. First look at the cast of American Horror Story: Freakshow. I skipped on American Horror Story: Coven, but I may check this out. Rumor: Super Smash Bros. 3DS/WiiU Roster leaked. 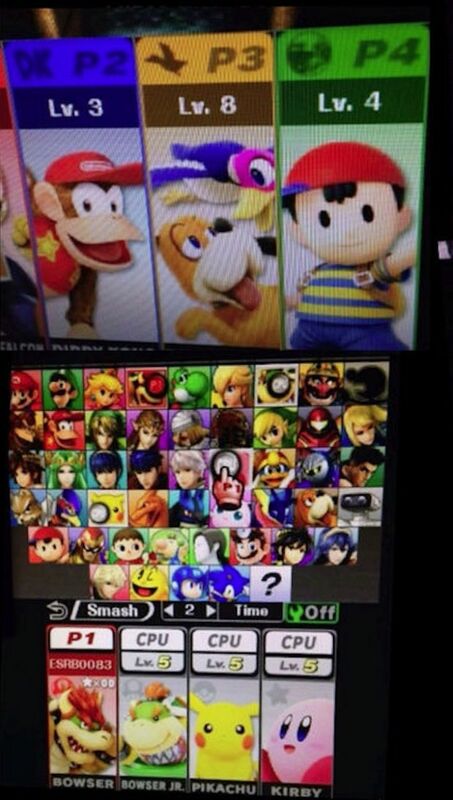 Last week, someone close to the production of Smash Bros. released several photos online of the upcoming game, including the final character selection screen. These are still unconfirmed rumors, so take it with a grain of salt, but Duck Hunt Dog? Sure, why not? I was hoping to see Pokey from Earthbound, but we got Jigglypuff back! Every month, Microsoft provides Free games to members of Xbox Live. The following are the free games for the month of September, starting on the 1st. Super Time Force looks super wild. I love it. Velocity 2x looks really fun and Johann Sebastian Joust is such a cool idea. Marvel Cancels a Bunch of Books and Puts Others on Notice. I was talking to a customer the other day about the death of The Superior Foes of Spider-Man and, how I thought it didn’t get an audience because Marvel just had too many books. It looks like more may be on the chopping block. I was waiting on trade for Secret Avengers, Elektra, and Ghost Rider. It’s a shame that Marvel doesn’t appear willing to wait and see if the audience is gained in the trade market. Recently, Tradd Moore, artist of Ghost Rider, left the title to draw the third part in his creator owned title, The Legacy of Luthar Strode. Marvel got a new artist in Damion Scott, but Moore was a huge draw on Rider, so it’s not surprising that Moore leaving was a nail in the coffin. With the added death of The Superior Foes of Spider-Man and New Warriors, that brings the number to eight titles.